To start, I love to prime with the Smashbox Primer Water. I do believe this is hydrating (although it might just be straight water) but I think it’s very refreshing, especially in the mornings. 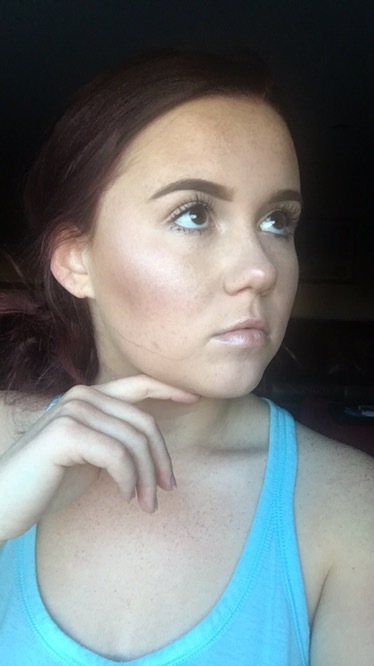 For foundation I have been loving the Covergirl Stay Luminous foundation for the days that I want coverage without looking too heavy. 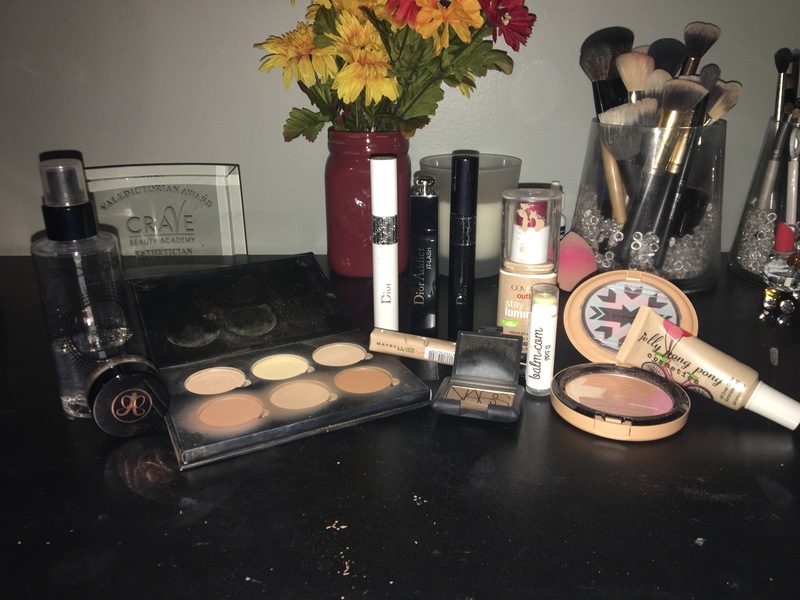 To conceal I used my all time favorite Maybelline Fit Me concealer, and then set that using the Anastasia Beverly Hills Banana Powder. I find that setting the concealer with a yellow powder helps to keep the area bright all day. I then used the Nars Laguna Bronzer on the outer parts of my face (underneath my cheekbones, temples, & jawline) to help warm up the face. For blush I used the Studio Makeup Blush in Wildflower. To highlight my face, I first started with the Jelly Pong Pong Cosmetics All Over Glow on my cheekbones. I then set my face with MAC Fix+, and applied the MAC Dunes At Dusk Gleamtones Powder over the liquid highlighter (this MAC highlight was part of the Vibe Tribe collection). For my brows I used the Anastasia Beverly Hills Brow Pomade in Soft Brown with a Bodyography eyebrow brush. For my lids, I only applied the same Bronzer that I used for my face into my crease, and then used the highlighter under my browbone & in my inner corner. I then tightlined my eyes with a black eyeliner pencil, and applied my mascara. My favorite combination right now is the Dior Maximizer, Dior It Lash, & then Diorshow. 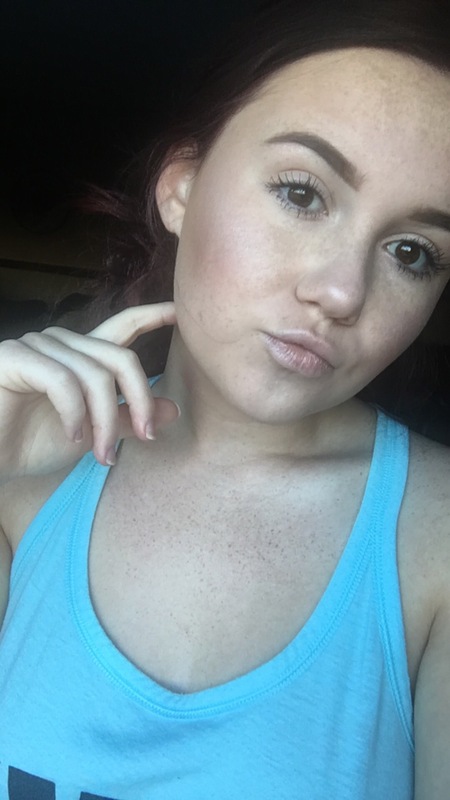 I hope you enjoyed this quick natural makeup for work or school! Please give my blog a follow and like this post!! Thank you so much for reading! Love this post!! Thanks for sharing love!